Your journey through the Amazon Rainforest of Iquitos will also bring into the Yanayacu forest todiscover “The Kingdom of the Giant Trees” and its impressive flora and fauna! Arrive in Iquitos (La Ciudad Caliente) and enjoy the spicy nightlife. The next day youtravel 44 miles into two ecosystems(The Sinchicuy and Yanayacu watersheds) and pass through the “green wall”; During your tour you will learn about the customs and daily activities of native river people. Your journey will also bring into the Yanayacu forest todiscover “The Kingdom of the Giant Trees” and its impressive flora and fauna. Arriving in Iquitos and transfer to your hotel. 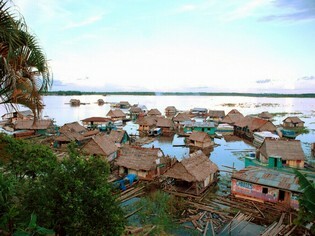 Iquitos is an interesting and unique metropolitan and is considered to be the biggest city in the world without access roads over land. It is definitely worth to go for a walk and try to catch a taste of its many jungle flavors. After that it is time to relax at the swimming pool of the hotel and to prepare yourself for an unforgettable jungle experience! • Meet and greet at the hotel from where you will be transferred to the city to the river wharf. • Speed boat trip on the Amazon, the world’s largest river. During the trip, you will see the magnificence of the Amazon, the exuberance of the jungle and the picturesque villages appearing on the shores with their particular color and joy. 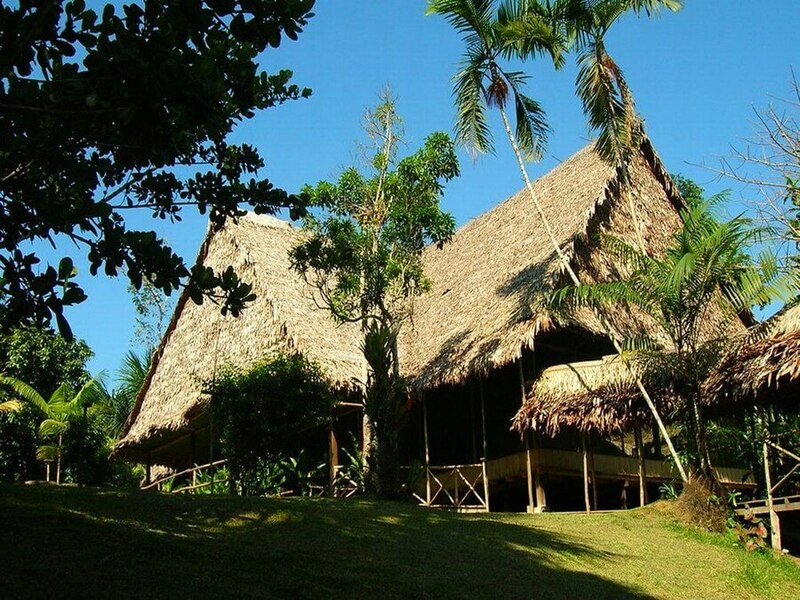 • Arrival and accommodation in the Amazonas Sinchicuy Lodge located 45 minutes from Iquitos. 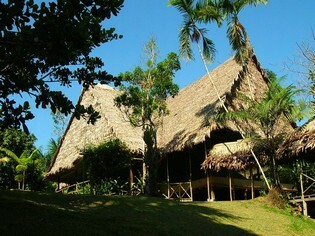 The native-style lodge built with natural materials is upon high ground, surrounded by trees, plants and flowers, where birds and butterflies roam. • Refreshing “welcome drink” made with regional fruit (cocona, camu camu, copoazu, other) and brief instructions about the sustained conservation standards that must be observed in the lodge and its surroundings in order to make your tour best enjoyable. 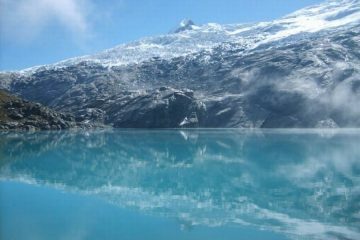 • Short walk or canoe ride in the afternoon –depending on the season- to “Nuevo Peru” where a Yagua community has established. You will get acquainted with their customs, see their unique apparel made of palm fibers and even try their “pucuna” or blowgun. • Lunch at the Amazonas Sinchicuy. Gastronomy in the lodge is based upon the ample use of natural and fresh products from the river and the local farmlands. • Guided ethnobotanic walk in the afternoon. You will be able to identify species of the Amazon plant kingdom (Cat’s Claw, Sour Cane, Copaiba, Aguaje and even Ayahuasca, the hallucinogen vine). • Visit the local “shaman” who will explain about the marvelous healing properties and use of some of these plants and roots. 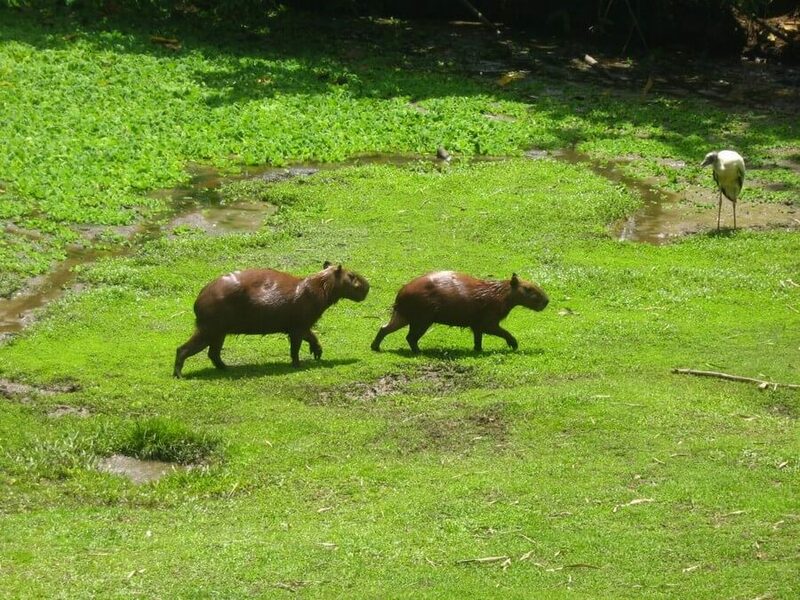 • Tour the Santa María del Ojeal farmlands where you will visit the sugar cane squeeze, the fruit orchard, the fish culture pond; see the Amazon breed cattle and artisanal dugout canoe fishing performed on the river by locals. 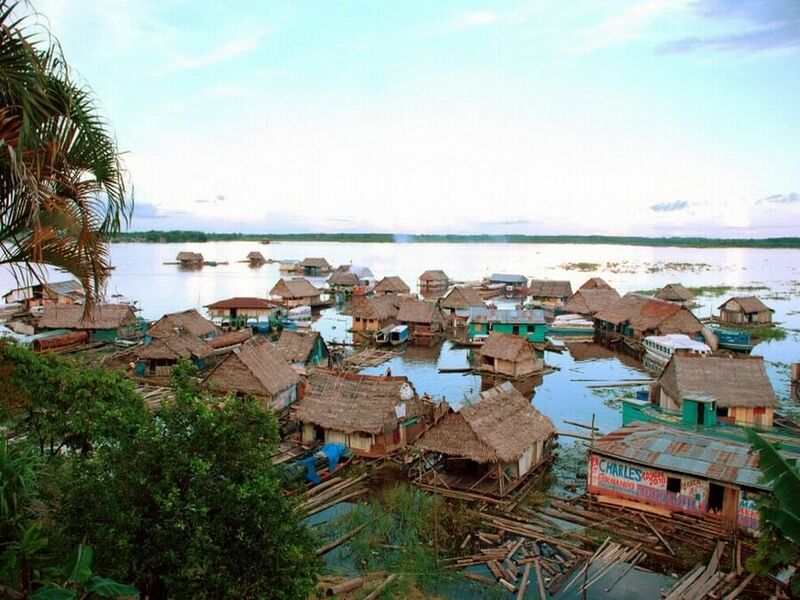 • Visit a typical village on the shores of the Amazon, see the homes, schools, churches, shops and interact with its people. • Visit the community’s sustained development projects and the Wildlife Rescue Center that are being made possible with ecotourism support. • Observe the beautiful sunset on the Amazon River. • Evening canoe ride or walk to discover the awesome world of night insects, cicadas, spiders, praying mantis, etc. Listen to the owls and pootos. • Tales and legends from the rich Amazon myths told by the guides after dinner and/or a short pleasant musical performance by our lodge staff. 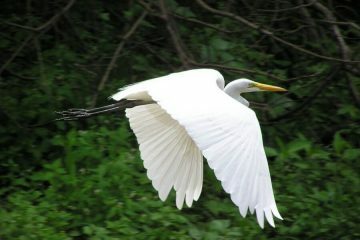 • Birdwatching during the morning early hours (before 6 a.m.). • Breakfast at the Amazonas Sinchicuy. Flora and Fauna Circuit (The Yanayacu watershed Ecosystem). 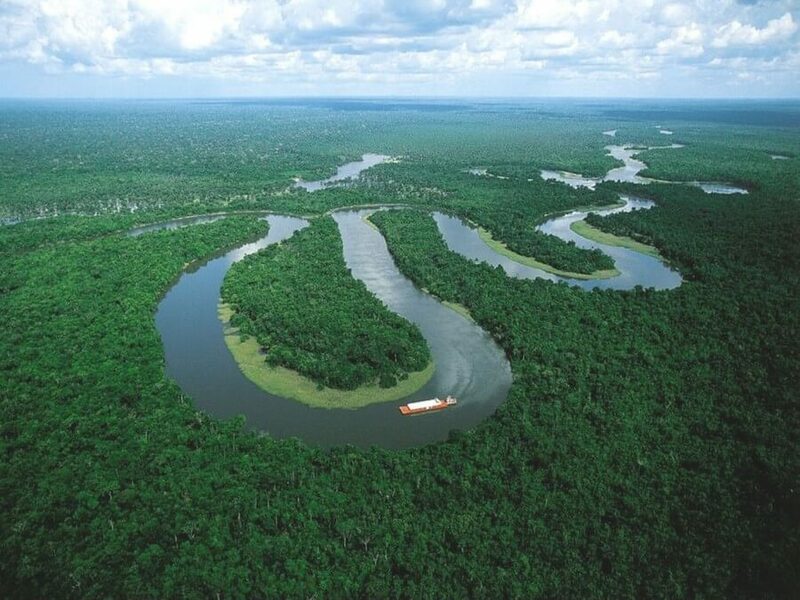 • After breakfast you will motorboat to the opposite side of the Amazon River. 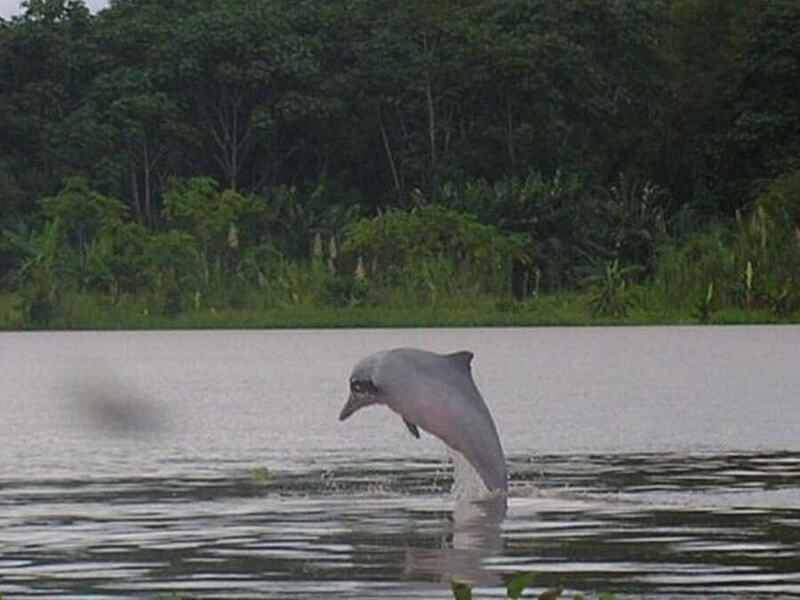 During the trip you might spot river dolphins, main characters of fantastic tales and legends of the Amazon Myths. • See typical riverside landscape plantations. • Walk on tropical rainforest trail and boat or canoe on the Yanayacu River to the Tambo Yanayacu Lodge located in the “Kingdom of the Giant Trees”. • Watch the rich avian fauna of the area. 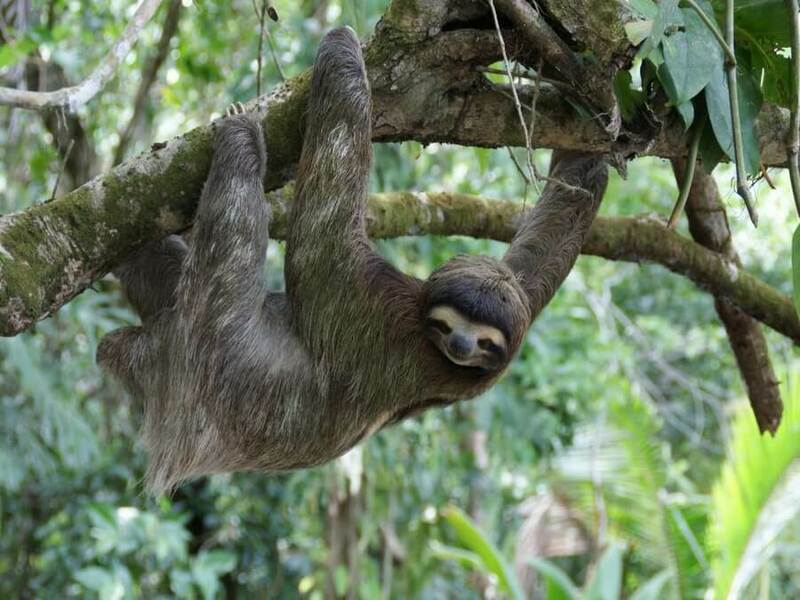 • See the diverse medicinal plants, epiphyte plants (bromeliads) growing high on the trees, and giant flora like the “lupuna” or ceiba tree species over 150-feet high. • Search for primates and sloths that mimetize with the forest canopy. • Lunch at the Tambo Yanayacu (38 Miles NE of Iquitos). 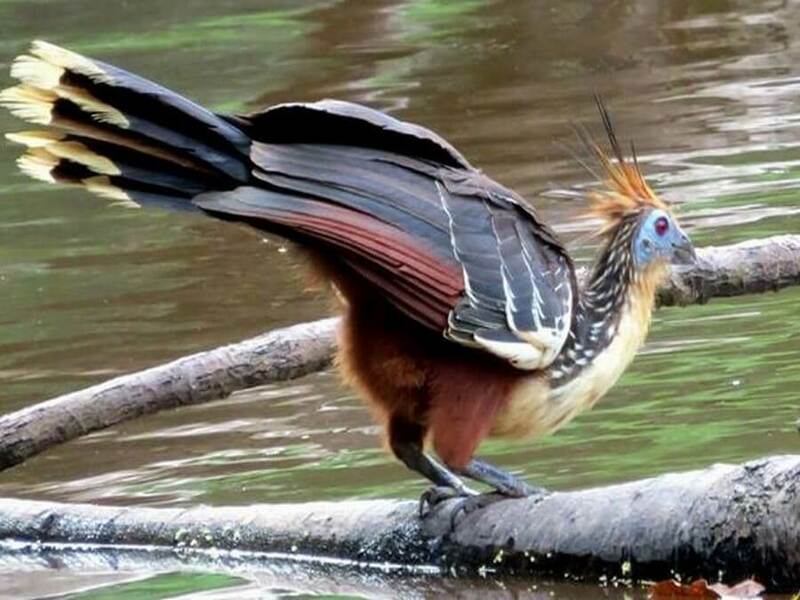 • Trek to oxbow lake in the afternoon where it is possible to find the Horned Screamer (Anhima cornuta), eye-catching bird specie that feeds on aquatic flora. • Evening walk or canoe ride. • Dinner and overnight at the Tambo Yanayacu. • Birdwatching during the early morning hours. Best time to identify and photograph bird species as they search their food on the river. • Breakfast at the Tambo Yanayacu. • Box lunch (you may request the cook to prepare what you might have catched whith fishing). 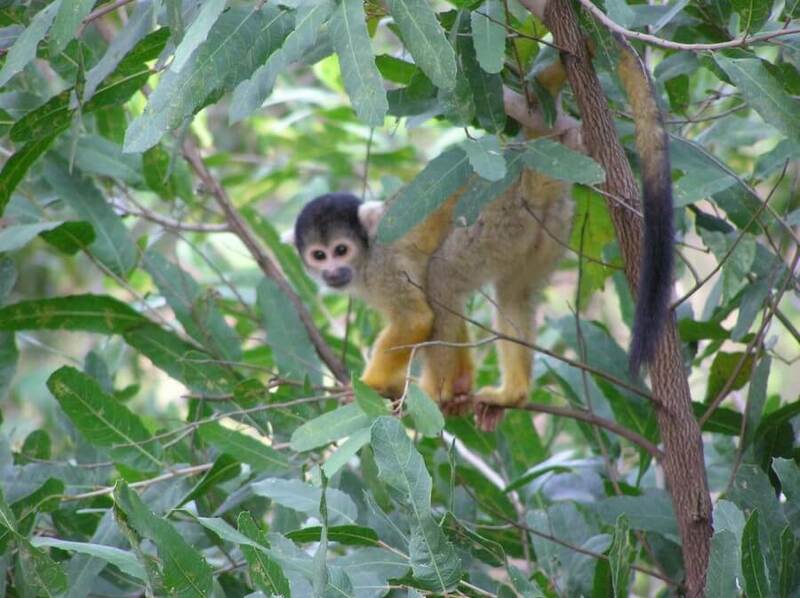 • Return to the Tambo Yanayacu and be part of the reforestation program activity Plant-a-Tree in an area near the lodge. 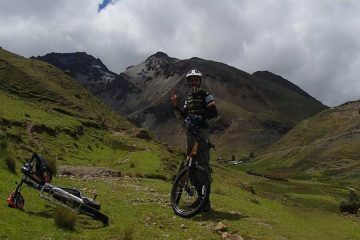 • Visit a typical farmers’ village or if you prefer, canoe or swim on the paradisiacal creek. • Breakfast at the Tambo Yanayacu..
• Excursion to Amazon River village. • Lunch at the Amazonas Sinchicuy Lodge. • Return by boat in the afternoon to Iquitos and transferred back to your hotel or to the airport at a convenient time to board your flight. Note: Please book your flight for after 18:00 h (6 pm), so you still have time to enjoy the last part of your tour. – 1 Night in Iquitos. – Boots/ wellies (ask about the sizes that might already be available on location), or you can buy them in Iquitos (also big sizes).